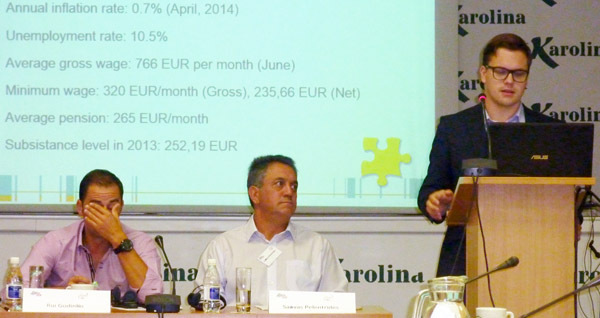 The organisers of this workshop, LDF and Švietimo Centras, had brought together colleagues from the local sector of Labour as well as experts from European trade unions to discuss the above-mentioned subject. A representative of the European Commission Agency in Lithuania gave clarification about initiatives taken by the European Commission for the purpose of increasing employment. From the Ministry of Social Security and Labour, the deputy director of the labour department spoke about the strategy of increasing employment in Lithuania. Colleague trade union leaders from Poland and Estonia spoke about problems with regard to youth employment. Vocational training was an item discussed through introductory speeches made by representatives from the Centre of qualification and vocational training of Lithuania, the Engineering industries association of Lithuania as well as Caroline Hungerländer, representative of the Austrian ÖGB. 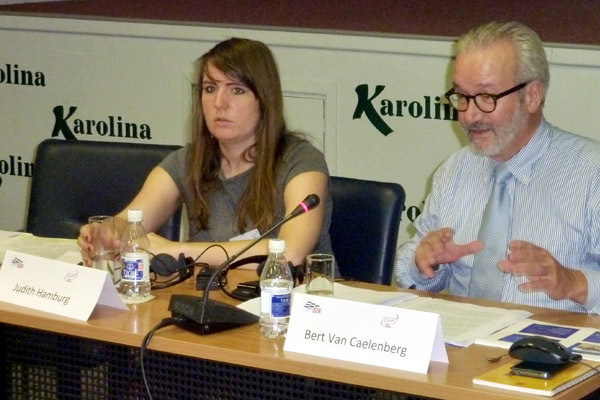 With regard to the role of trade unions in Europe, Bert Van Caelenberg of Eurofedop spoke about social dialogue in the State sector and trade union lobbyism. On behalf of MOSZ from Hungary, Judith Hamburg spoke about the tasks of trade unions for better workers’ representation. With a round table discussion on trade union participation in deciding social and economic problems, introductory speeches were made by representatives from LBAS of Latvia, UGT of Portugal and POAS of Cyprus. With this workshop, a further step was made for the training of LDF and Solidarumas trade union activists of Lithuania. LDF will also take part in the seminar set up by Eurofedop in October in Edinburgh. Bert Van Caelenberg took the opportunity of the workshop to make first contacts with the Administration (Ministry of Employment) of Lithuania.